St. Joseph's Assisted Living Community | JTR Inc.
St. Joseph's (a.k.a. 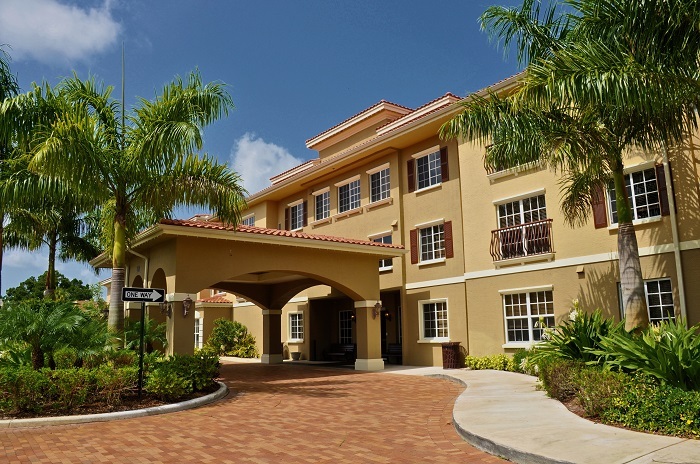 St. Ann's) Assisted Living Community, located in an urban area of Jupiter, Florida, is a 100-resident facility for seniors that offer a wide-range of assistance depending on the medical needs of the resident. Jonathan T. Ricketts, Inc. provided design work for the paving/drainage and water/sewer portions of the project, including the associated permits from the Town of Jupiter, South Florida Water Management District, Town of Jupiter Water Utilities Department, Loxahatchee Environmental Control District, Palm Beach County Health Department, AT&T, Comcast Cable, and design reviews with HUD officials. Jonathan T. Ricketts, Inc. also assisted in the bidding and negotiation phase of this HUD-funded facility. Keys to Success: Close coordination with state and town officials during design and permitting. Close coordination with HUD officials including design and construction cost certifications. Detailed plans and monitoring during construction to ensure strict compliance with ADA requirements.